A quadruple treat for you today with 4 seriously amazing Bettina polishes, courtesy of my best dealer, whoops, Friend, Momma Stern. 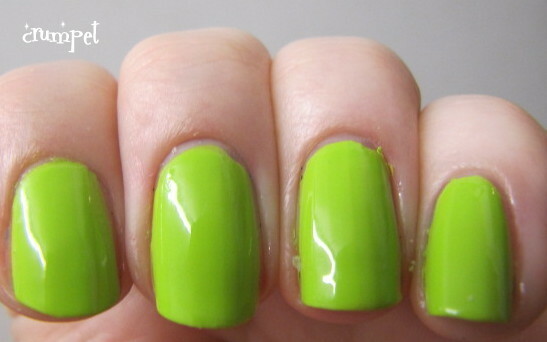 First up we have Apple Green .... gulp, holy crap in a bucket that's bright !! Apple Green ?? 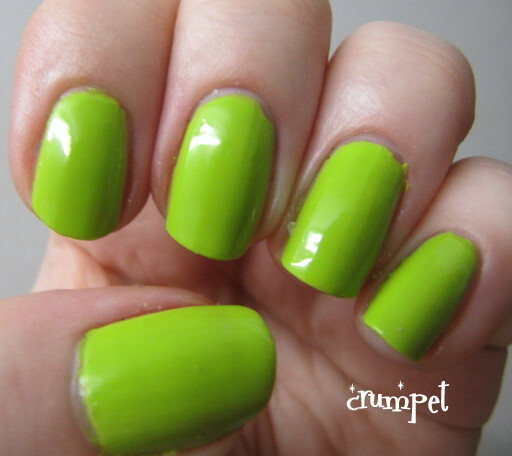 Neon green more like! 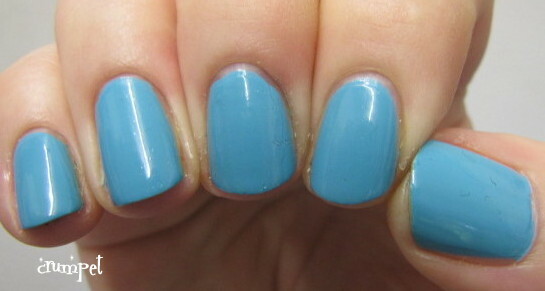 This looks delish in the bottle, but kind of took my breath away on the nail. It's absolutely not my sort of colour at all, but I have a strange fascination with it nevertheless. It's so bright and so obnoxious that I just couldn't stop staring at it! It's helped by that perfect Bettina formula of course - smooth as a baby's bottom. Next up is PepperMint, which just annoys me. It's Not Green, It's Blue! So why is it called PepperMint ? Why Bettina, why ? 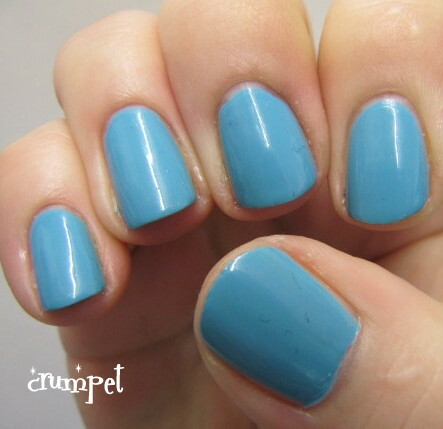 That said, it is a very lovely shade of blue, deliciously sky of tone and creamy of texture. It's a very pure and happy blue, totally serene. Gorgeous. Then we have Purple. There's nothing outwardly special about purple, but it does exactly what it says on the bottle - it's purple. Again, it's creamy smooth, and pure of colour. 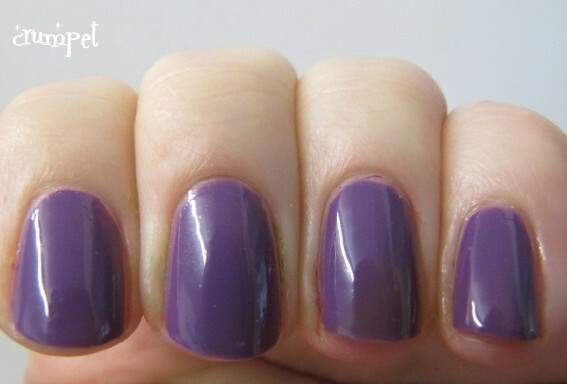 There's a slight blue undertone going on, but if you're looking for a pure and plain purple, er Purple's your gal. And finally Sand Blast. This is lovely. Sand Blast is a super pale grey, dreamy and creamy and pure whipped confection. She is softer in tone than Dove, and she's like the insides of a cloud - light, fluffy and utterly blissful. You can't really go wrong with a Bettina. They all have stunning formulas, apply like a dream, and look like a million dollars.